Bloggers seem surprised that Treasury chief Tim Geithner wouldn't whip out his bullhorn to champion Arianna Huffington's campaign to move money out of big financial institutions into community banks. I'd be surprised if he did. For better or for worse, top U.S. economic officials aren't exactly in the habit of urging depositors to flee any bank, big or small. Moreover, those Wall Street institutions that people are expected to abandon survived in part through massive infusions of taxpayer capital. What's the likelihood of a Treasury Secretary -- any Treasury Secretary -- encouraging folks to withdraw money en masse from companies they just saved at enormous expense? I put it at about zero. As an avid Geithner basher myself, I don't think his stance on the "Move your Money" effort betrays bias so much as common sense, along with a certain official reticence about fanning the populist flames. Look, I like a good insurrection as much as the next pseudo-revolutionary. But there's at least one good reason to question the Huffington campaign, which aims to "limit the power of the big banks and create a more sane, stable financial system": It'll never work. That's because Move Your Money is based on a flawed premise. Individuals depositing money in neighborhood banks don't keep big banks from getting it. And if smaller institutions somehow were suddenly flooded with capital, they'd almost certainly redeposit the money in larger banks. 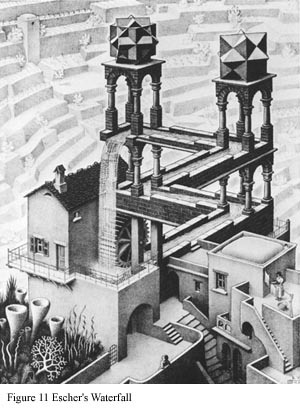 Move Your Money, carried to its logical extreme, is more likely to recirculate capital through the banking system like Escher's waterfall than it is to enhance financial sanity. Of course, there are good reasons to support community banks. The service is often friendly and attentive. It benefits the local economy by increasing their available credit (although the skeptics among us might question that proposition by highlighting small banks' enthusiasm for commercial real estate, currently in flames). Lollipops. And it can be therapeutic for anyone, like me, with a brontosaurus-sized bone to pick with Wall Street. But one can understand why Geithner would take a pass on this one.